Posted July 25, 2012 by finnfemme & filed under Fashion, Vintage. I was always impressed with how Esther Williams parlayed competitive swimming into a movie career. Of course, she was gorgeous and talented, and had the great opportunity to star in many “aquamusicals” in the 40s and early 50s. The films featured fabulously choreographed synchronized swimming and diving, and the star of the show was always the magnificent Esther Williams. Being a great Hollywood beauty, Esther was featured in many ads. 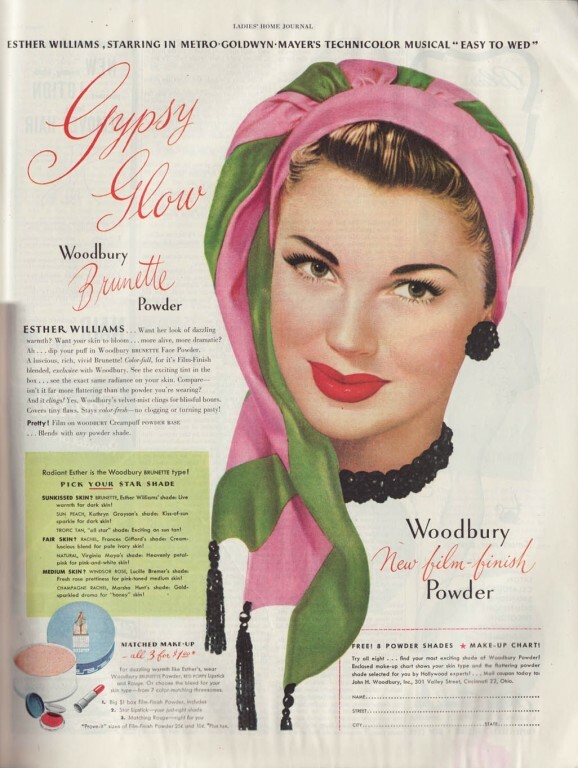 This is a cool vintage Ladies’ Home Journal 1946 ad for ‘Gypsy Glow’ Woodbury New film-finish Powder. 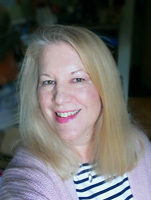 Esther looks stunningly gorgeous, and we learn that “Radiant Esther is the Woodbury Brunette type!”. I love the promises they make about wearing their powder: “dazzling warmth; your skin will bloom and be more alive and dramatic; radiance on your skin; covers tiny flaws; stays color-fresh!”. Gosh, it almost makes me want to start wearing powder. Does anyone actually wear powder anymore? It certainly was big on the vintage cosmetics scene. It’s interesting how, even back in the 40s, the Hollywood studios were able to use placement on advertising. A banner on top to the ad reads “Esther Williams, Starring in Metro-Goldwyn Mayer’s Technicolor musical “Easy to Wed”. Some things never change!